Whilst youth training programmes attracted their fair amount of critics, Wester Hailes seemed to find creative ways to provide placements, training and improved community services. The scheme was able to offer placements for example with the Sentinel, the community café and a recycling project. From an early stage the project took a holistic approach, recognising that some young people needed a broader range of training including life skills to become fully equipped for work. This inevitably raised the project’s costs but enabled the scheme to have a more positive and permanent impact for the young people involved. Over its lifetime it had a 95% success rate with its trainees and was regarded as one of the most successful projects of its kind. When the Youth Opportunity Programme was replaced by the Youth Training Scheme, the programme in Wester Hailes was adapted to meet the new requirements. 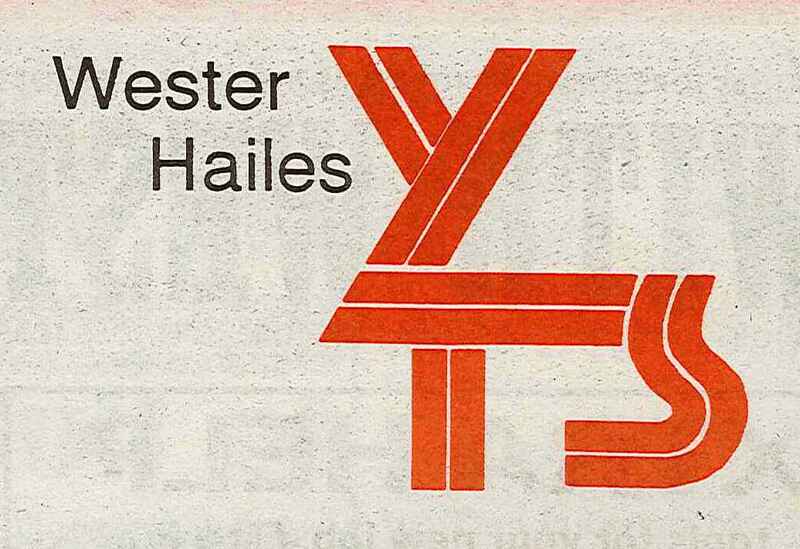 In 1988, the Sentinel reported on 10 years of the Wester Hailes YTS. During that time nearly 400 young people had benefited from being involved. It was also one of the longest running voluntary YTS group in the country. It also specialised in working with young people who found it difficult to access mainstream training, providing additional support and training to ensure they could take up training opportunities. You can read more about their success story here. 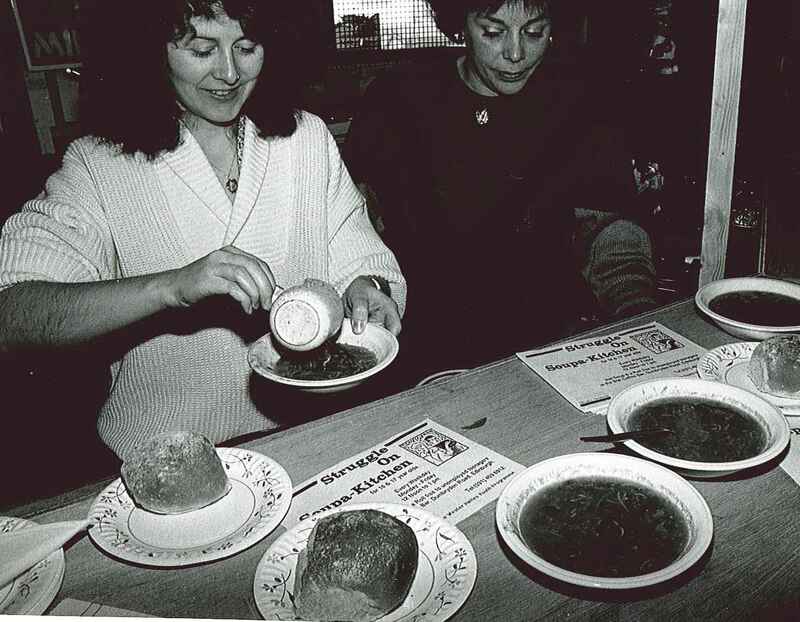 The project got to a stage when it really needed new premises and in 1990, the Sentinel reported on the on-going tussle with the Wester Hailes Partnership over the promised funding that had yet to materialise. When Malcom Rifkind visited the YTS, the manager took the opportunity to raise the issue with him, with the matter being reported in the paper. In 1992, the scheme faced its biggest challenge, which sadly proved to be its last. The main funding came from Lothian and Edinburgh Enterprise Ltd. When the government made cuts to their funding, those cuts were passed on making the YTS unsustainable. 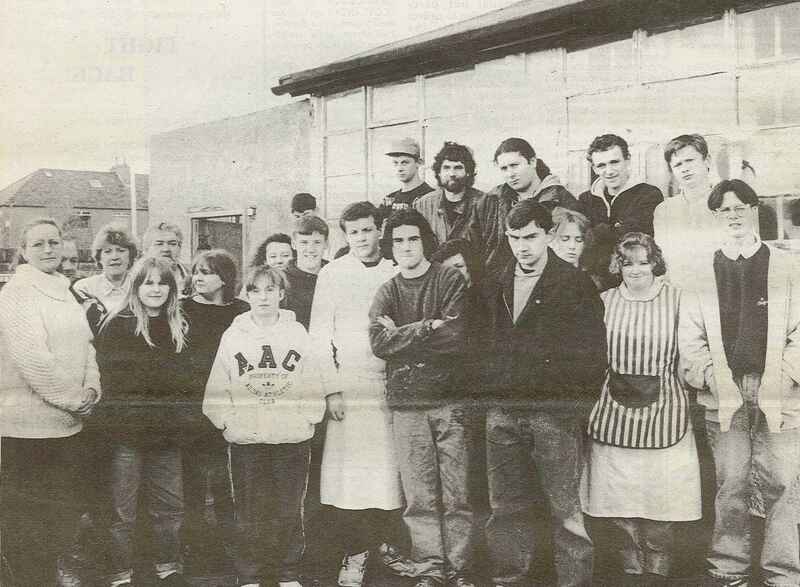 In April 1992 it was announced that the YTS would close. The Sentinel paid tribute to all the scheme’s achievements and pointed out the many ways that the wider community had benefited from the support and activities of the YTS trainees. 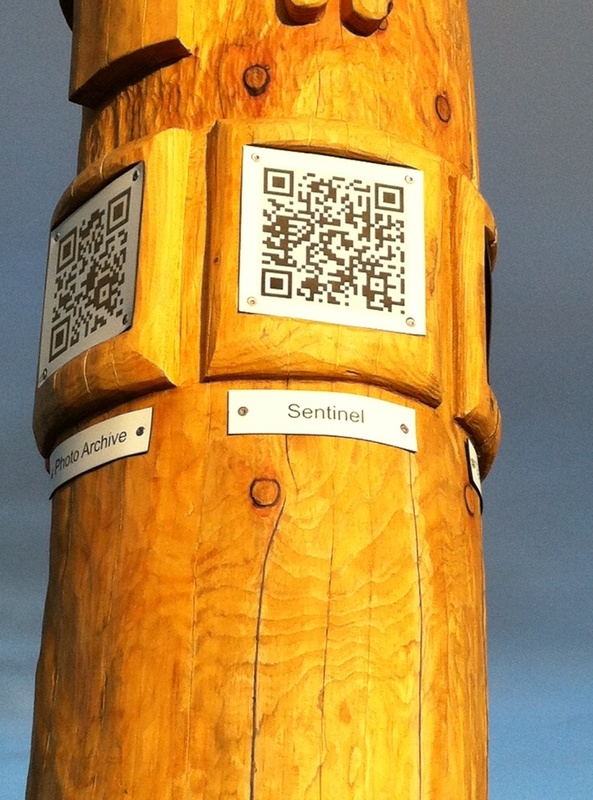 Categories: history, people | Tags: Activism, community, regeneration, young people | Permalink. Welfare benefits reform has now regularly been hitting the headlines as the media has finally realised the huge effects of the new legislation on the lives of thousands of people. It seems that every week now for example there are requests on Twitter for people affected by the bedroom tax to contact journalists eager to produce stories highlighting the new policy on “under occupation”. It would have perhaps have been helpful to have had this level of interest 2 years ago as the bill proceeded through Parliament but it may have been hard then to imagine the implications of what was being proposed. 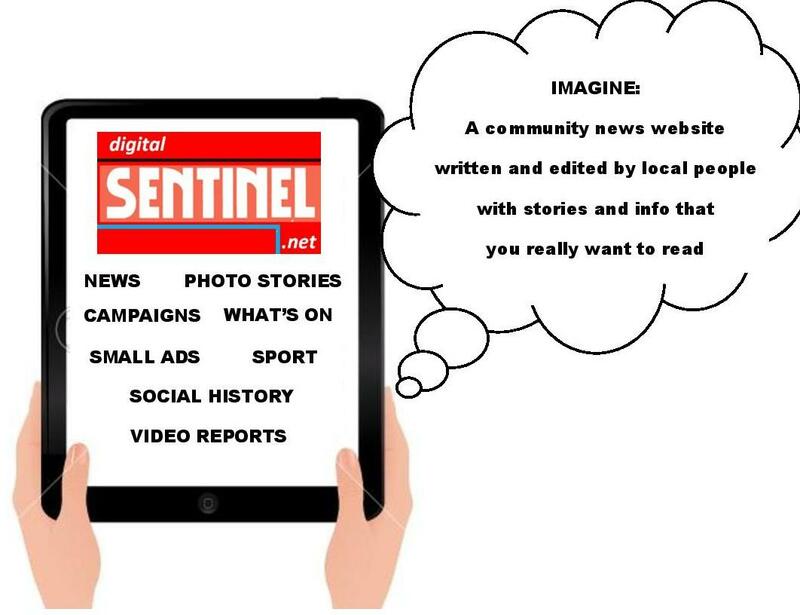 Last year we looked at the role the Sentinel had to play in keeping people aware and informed about major benefit changes affecting them in the 1980s and 1990s. The sweeping changes brought about through the Fowler Review and the resulting effects for those claiming benefits were highlighted in detail by the paper and readers were encouraged to get advice from local organisations and agencies. With these new changes coming into force starting in April this year, it is equally important that those affected are aware of how the new requirements will impact on their lives and that they receive advice on their particular situation and potential options. 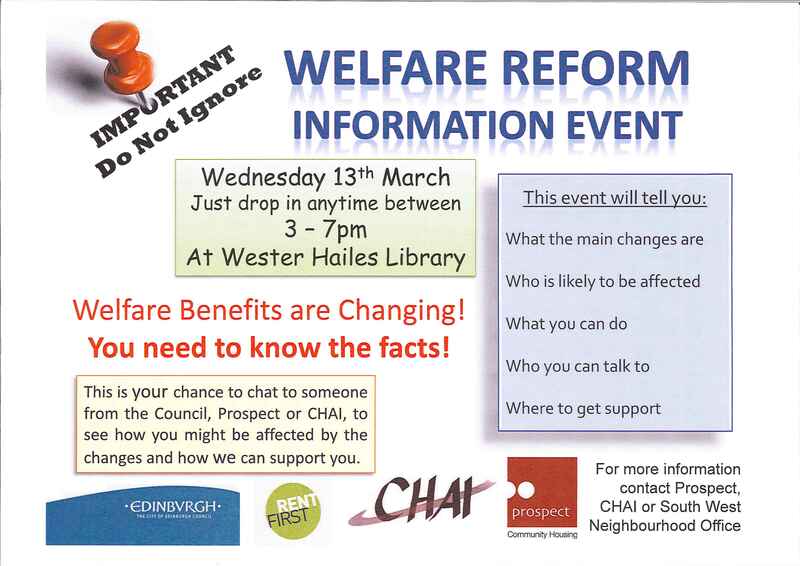 A Welfare Reform Information Event is being held next week in Wester Hailes on Wednesday 13th March at the Library. This is a drop in session organised by Prospect Community Housing, CHAI and City of Edinburgh Council. It’s a chance for local residents to find out if they are affected, who they need to talk to and where to get further support. People can drop in at any time between 3pm-7pm. 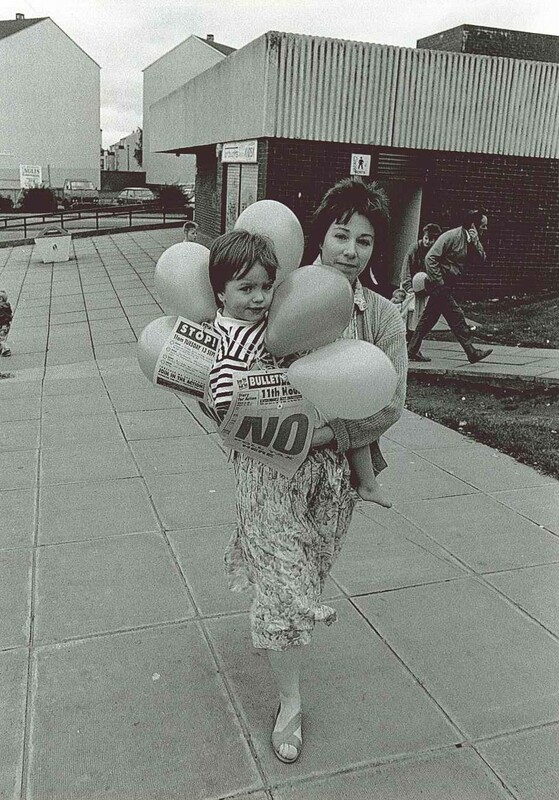 Categories: history | Tags: Activism, community, news, Wester Hailes | Permalink. In November 2011, we posted an article about former city councillor Pat Rogan who had just died aged 92. We described him as “a local politician of pivotal significance in the drive to transform Edinburgh’s housing conditions in the mid-twentieth century”; highlighting the fact that he had helped to spearhead “a major programme of slum clearance in the central areas of of the city and the provision of thousands of new homes which included the building of Wester Hailes”. In the year 1954, much against my wish, or desire, I was elected a councillor to Edinburgh Corporation. At that time, one third of the Council retired by rotation, which meant that 23 seats had to be filled. At that election, following the usual trend, eight candidates were returned unopposed – or, as we used to say at the time, returned unexposed! In the ward where I was elected, the sitting councillor had resigned, and the Ward Party was unable to find anyone to replace him. Without a candidate, the seat, normally safe Labour, would have been presented to the Progressives. To avoid such a calamity, I was persuaded to enter the ring, but I did so on the strict understanding that I would hold the seat for one year only, which would give the Ward Party ample time to find my successor. Twenty years later, with good behaviour, I was let out! I had no ambition to hold public office, and I was quite content within the Labour Party to be a backroom worker, and help others become MPs and councillors. In 1950, I was the election agent for Andrew Gilzean, the Member of Parliament for Edinburgh Central; and when he died I was offered the vacancy, which I declined. The man who was selected for the seat, Tom Oswald, held it for the next 21 years until he retired. So, you see, I was not overjoyed at becoming a councillor. But, realising the responsibility that had been thrust upon me, I attempted to find out what the job entailed. I sought advice among my more experienced colleagues, but I learned little from them, mainly because they suffered from what I can only describe as “committee preoccupation”: that is, they knew a great deal about their own committees, but not a great deal about committees that didn’t arouse their interest. There was an element of snobbery about committee selection, so I, being a newcomer and a building trade worker – was placed on the Housing Committee, and a couple of others that were considered of little importance. The composition of Edinburgh Corporation at that time was interesting. The Progressive Party had a high proportion of retired people, businessmen and housewives who could afford the time. The Labour Party had a few small businessmen, some trade union officials, some housewives, but just a handful of artisans. The progressives had a majority of 2:1. The year before my arrival, councillors, for the first time, became able to claim loss of earnings, which provided a maximum of £1 for a full day and 10s for four hours. As these amounts represented about half of what a tradesman could earn, I, and a few others, found ourselves subsidising Edinburgh Town Council. On the credit side, one was provided with a bus pass, and a lunch, if attending committees. 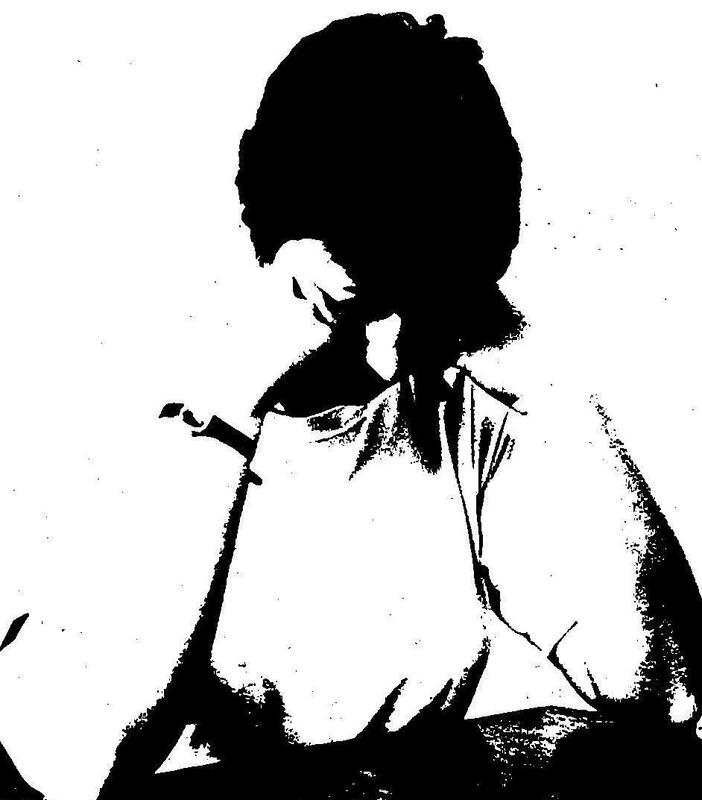 My lack of experience, my ignorance, amd my innocence were fully exposed a few weeks after becoming a councillor. One very wet and windy night, a deputation, consisting of half a dozen folk from a tenement in the Canongate, arrived at my door. Their roof was leaking badly, their houses were almost flooded, and what was I going to do about it? I didn’t know what to do, but I accompanied them back to their homes so that I could see the extent of the damage. I found their complaints were not exaggerated. People were huddled in corners trying to avoid the worst of the downpour, while efforts had been made to protect their belongings, especially their bedding. Among these unfortunates was a young mother who that very day had returned from hospital with her new-born babe. In an effort to help them, I called in at the local police station, and unfolded my sorry tale to a sympathetic and understanding sergeant. No, he was unaware of emergency services for leaking roofs. If the building was dangerous, he knew what to do. But complaints about leaking roofs arrived with every rain storm, and he, unfortunately, couldn’t help. At that time, I was managing a small jobbing builders’ business, so I opened up the yard, found two tarpaulins, and, with the help of a couple of men from the tenement, spread them over the worst of the rotten slates. And that, for the moment, was as much as I could do. At the first opportunity, I set about finding out why such conditions were tolerated. The first thing I discovered was that the owners had abandoned the property, because they were unable to meet the maintenance costs. No rents were being collected, and the house agents had no funds to carry out repairs. I also discovered that, throughout Edinburgh, scores of tenements had been deserted, and, in some instances, whole streets of properties had been abandoned by their owners. Meantime, City officials were trying, in a half-hearted way, to trace the owners, and serve notices regarding their duty to keep their houses wind- and water-tight. As many of the owners had left the country, the task of finding them was almost impossible, and, as the Corporation was most unlikely to be compensated for repairs, the unfortunate occupiers of the run-down houses were left marooned. The number of new houses available was insufficient to have them re-housed immediately, so their only remaining hope was through the Council’s house letting system – providing, of course, they were eligible. And here was another problem. House letting was not controlled by the Housing Committee, but by the Finance Committee. Over a long period of years, officials of house-letting had devised a scheme, subsequently altered and amended as they saw fit, and approved, I suspect, without argument, from the Finance Committee. The end result was a method whereby points were awarded under various headings – health, homelessness, size of family, waiting time – but not the condition of your present abode. Under health, the only points to be gained were if any member of the household suffered from pulmonary T.B.. Heart conditions earned nothing, and the same applied to the limbless, or people confined to their home for whatever reason. Fortunately, a cure was found for T.B., and then heart conditions became a priority for rehousing ( and, incidentally, it’s rather sad that the scourge of T.B. has arrived again in our midst!). Sizes of families presented problems, because ages of children determined pointage, and a child only qualified for a full point after its tenth birthday. Waiting time carried little benefit, and was of value only when added to other points acquired. 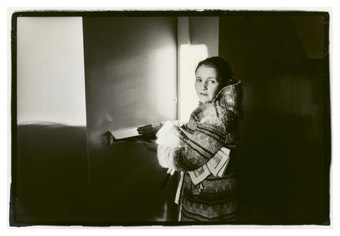 Many people had been waiting since before the war to secure a home. Categories: history, people | Tags: Activism, history, housing, politics, regeneration, Wester Hailes | Permalink. There are few pieces of legislation that can still evoke such strong reactions as the innocuously titled Community Charge. 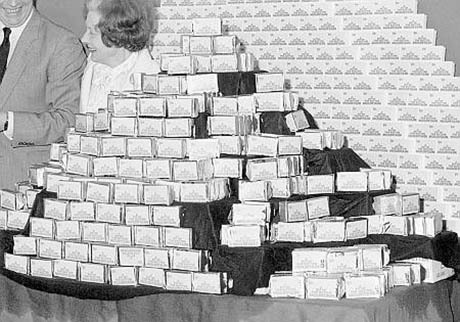 More infamously known as the Poll Tax, this new form of taxation would prove to have profound and far reaching effects not anticipated during its formulation. It was brought in as a result of the Local Government Finance Act in 1988 to replace the Domestic Ratings System, and implemented a flat rate tax on everyone regardless of income. 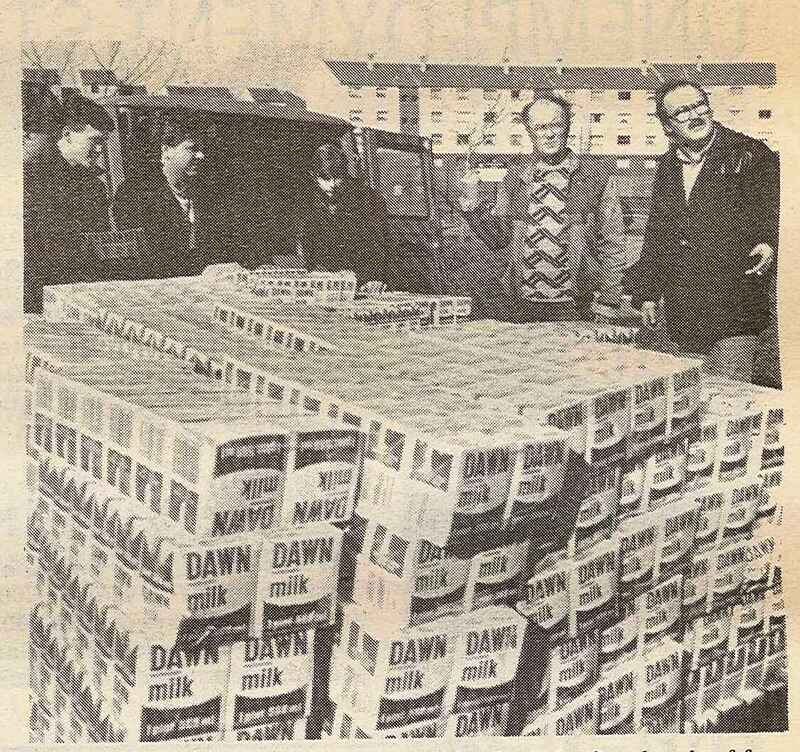 Whilst reductions were available for those on a low income, everyone had to pay at least 20%. In Scotland, the poll tax is also particularly remembered as being introduced a year earlier than in the rest of the UK. 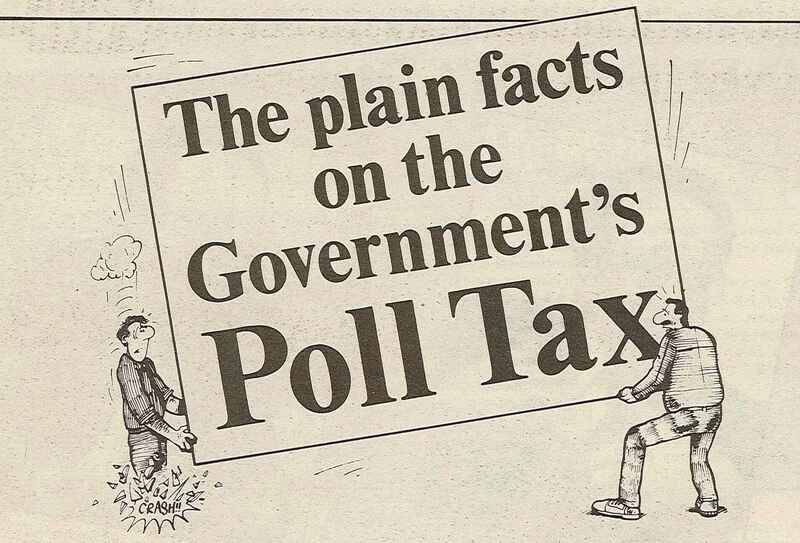 In November 1987 when the proposal of the poll tax had become a reality, the Sentinel focused one of its Street Sentinel reports on whether people would pay the new tax. You can see the results here. The following year the paper again alerted its readers to the new tax on the horizon with information from Edinburgh District Council on how local residents would be affected and what everyone would have to pay. As in hundreds of communities, people in Wester Hailes held protests about the new tax but the following year, the first community charge bills landed on people’s doorsteps. Those who could not afford to pay faced debt and anxiety with bills and reminder letters piling up. Local authorities took legal action in an effort to collect some of what was owed, leading in Scotland to a sharp rise in the number of warrant sales. The Sentinel had previously highlighted the plight of people facing warrant sales back in October 1988 prior to the poll tax’s implementation. Sometimes described as legal break-ins, warrant sales auctioned off a debtor’s possessions in order to recoup a debt. A local resident shared her story, describing vividly the humiliation and misery the warrant sale process created. With the arrival of the poll tax, there would have been many similar stories in the area. As well as people being unable to pay, there was a growing anti poll tax movement with people able to pay but choosing not to as a form of protest. “Can Pay, Won’t Pay” quickly gathered momentum and politicians both local and national found themselves at the sharp end of the question Are you paying the Poll Tax, knowing that their answer would be of media interest. When new councillor Margaret McCulloch was interviewed by the Sentinel, she was asked if she was paying the poll tax. She stated that she was, saying that as the council was asking others to pay, she felt she had a responsibility to do the same. Meanwhile another local councillor John Mulvey argued that the only way to defeat the tax was through a mass campaign of agitation and he refused to pay. By the end of 1990, more than 1 million Scots had refused to pay their community charge. Huge waves of protest swept across England and Wales as the tax was introduced that year. Whilst 50,000 people marched in Glasgow on March 31st 1990 relatively peacefully, the day will really be remembered for the 100,000 strong demonstration in London that led to the worst riots in the city of the 20th century. The poll tax is regarded by many as being a key factor in Margaret Thatcher’s resignation in November 1990. It also led to arguments within the Labour party with those on the left wing of the party challenging the official opposition response. A relatively short lived piece of legislation, it has managed to attain legendary status. Perhaps the anti poll tax campaign’s biggest achievement was that it brought together a diverse range of protesters many of whom had never contemplated direct action before: pensioners, church congregations, local workers, high earners all felt strongly enough about the injustice of the tax to take a stand. And with it being a tax implemented on all, being able to withhold payment made protesting both simple and effective. The broad range and sheer volume of non payers made successful collection impossible. Whilst many people may feel a similar sense of injustice over the Welfare Benefit reforms, there are fewer options available to show their protest. And of course, the reforms divide rather than unite.